It was Robert De Niro's fascination with the character of Jake LaMotta that led him to coax Martin Scorsese to direct the film. It's universally ranked among the best films of all time. Uploaded by digitalbusstop.com. It’s a tough film to watch. The book from which its adapted, Raging Bull: My Story by Jake LaMotta wasn’t particularly good. 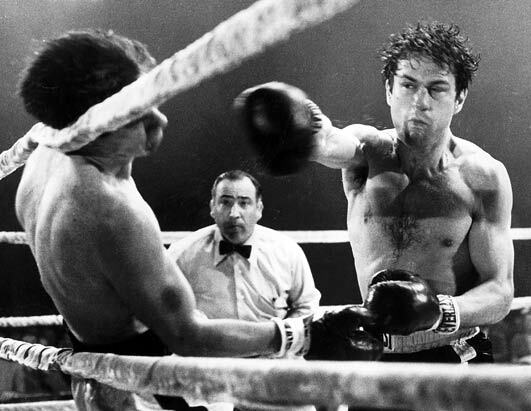 And, as Mardik Martin, one of its screenwriters admitted, “The trouble is the damn thing has been done a hundred times before — a fighter who has trouble with his brother and his wife and the mob is after him.” And with all that, Raging Bull is near the top of virtually every list of the best movies ever made. The enthusiasm that eventually got the movie produced belonged to Robert De Niro, who read the book and was fascinated by the LaMotta character. Director Martin Scorsese didn’t want to direct it, but De Niro eventually prevailed on him. Scorsese, as he often did, cast unknown actors in the part, a couple of whom (Joe Pesci and Cathy Moriarty) went on to excellent careers. 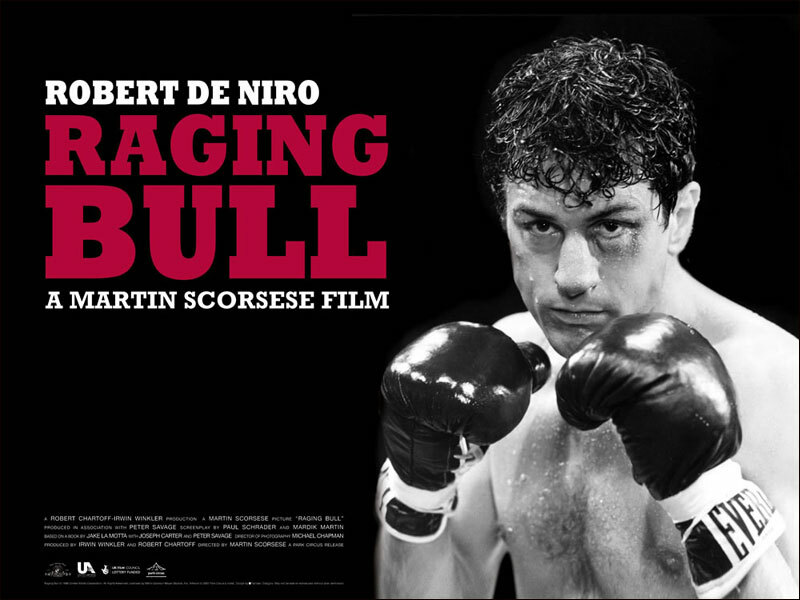 Raging Bull received four Oscar nods and won two, including De Niro as Best Actor. In the American Film Institute’s 100 Years…100 Movies list, it came in number 24. The British magazine Halliwell’s Film Guide named it number 7 best movie of all time…Roger Ebert had it in his top 10 back in 1991…Entertainment Weekly had it as number 5…and Variety ranked it number 39. I’d say we have a consensus.